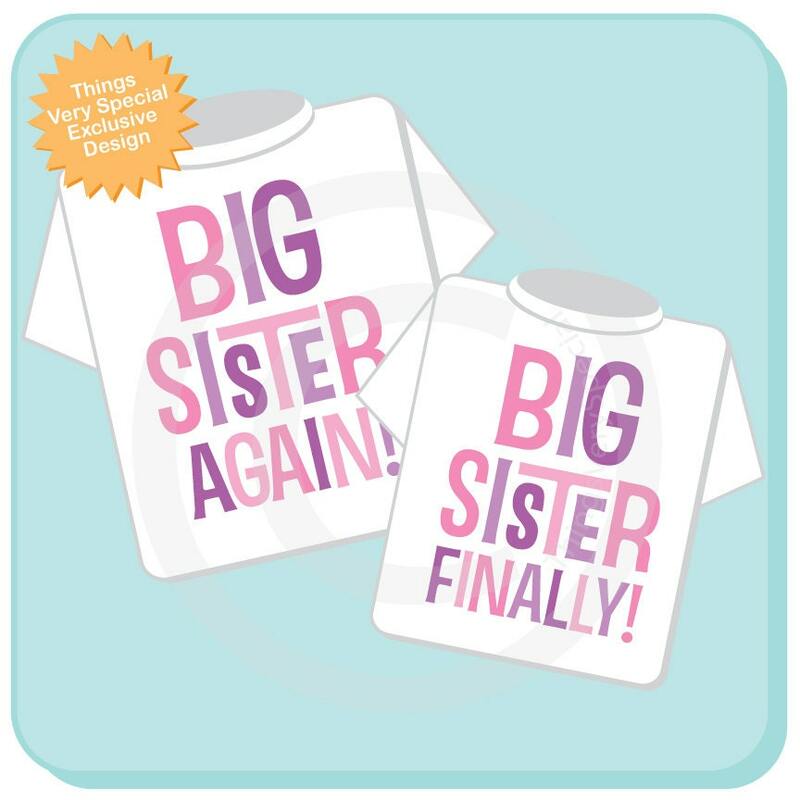 Big Sister Shirt set of Two, Big Sister Again Shirt and Big Sister Finally Shirt with Pink and Purple text on either a tee shirt or Onesie for each child. This listing is only available for this exact set. No changes of wording are accepted. 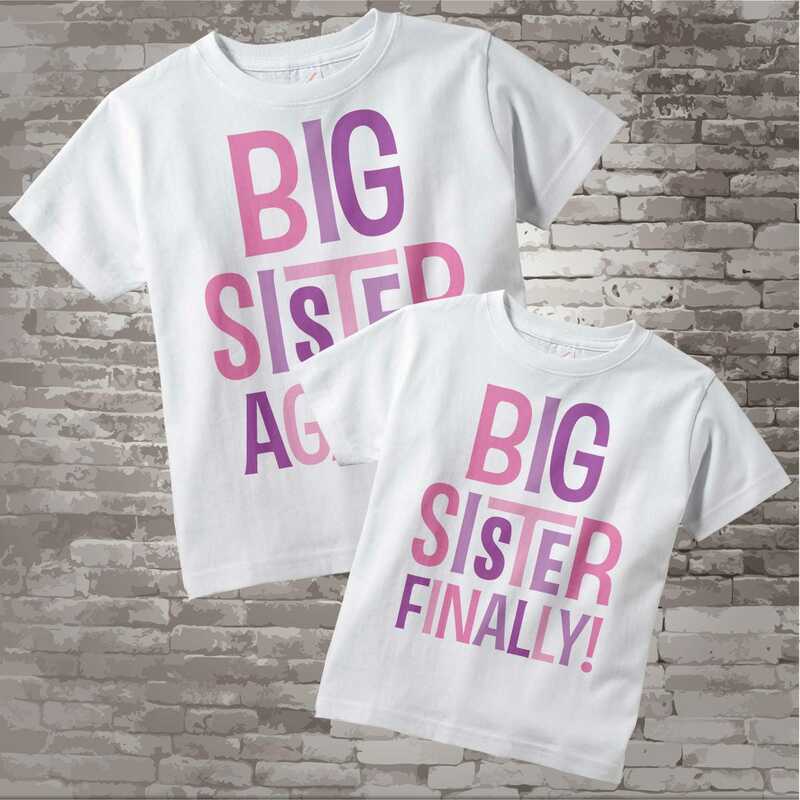 Thank you for the t-shirts! Well made and durable through washing.